17 January / A steeple consisting of pillars of light has risen into the sky in place of the missing steeple at Tartu St. Mary’s Church. 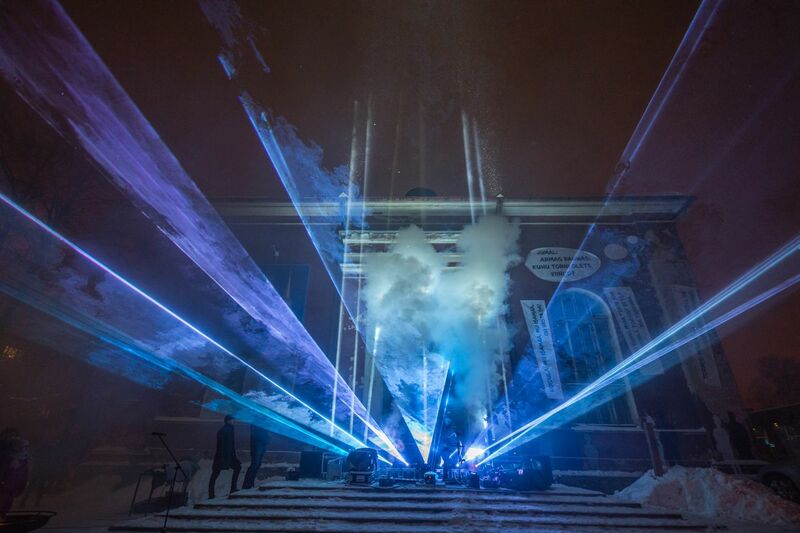 On 13 January, a light and music performance was held in celebration of the 177th anniversary of Tartu St. Mary's Church, and since that day a steeple of light has adorned the church building located at Pepleri Street 1. The pillars of light, created under the leadership of Toomas Savi, Member of the Supervisory Board of the Tartu St. Mary’s Church Foundation, and brought to life by Artwerk OÜ, will continue to light the church on dark nights until the completion of the actual steeple. In his remarks, Mayor of Tartu Urmas Klaas emphasised that St. Mary’s Church is important to Estonians in terms of its cultural history. The first Estonian Song Festival got its start at this church in 1869. The Mayor also added that St. Mary’s Church and its congregation have both suffered significant losses throughout history and survived difficult times. Toomas Savi added that when the church was returned to St. Mary's congregation after a period of 50 years, it was accompanied by a clause requiring that the church be restored, and he called on people to take notice and help. A registered donation can be made to the Foundation’s Swedbank account EE132200221021269201. Telephone lines have also been opened to collect donations for restoring the St. Mary’s Church steeple: by calling 900-1842 you can donate EUR 5; by calling 900-1941 you can donate EUR 10; and by calling 900-2019 you can donate EUR 50.